Need your large-size shipment there ASAP? No problem! FullTruckload.com provides guaranteed on-time expedited full truckload shipping services for large equipment, palletized freight and more. Our resources, unparalleled customer service and tracking technology will give you peace of mind by ensuring your truckload shipment is secure and delivered on your deadline. 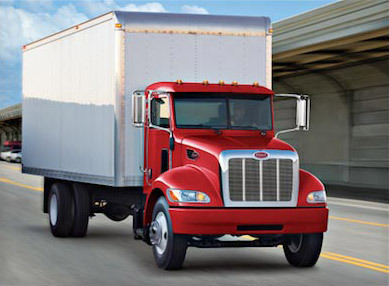 To accommodate truckload shipments across diverse industries, we utilize a variety of truck types, from tractor trailers, to flatbeds and straight trucks, both large and small. We understand it’s vital for truckload shipments to arrive, and we also know the risks involved with multiple transfers. That’s why we streamline your delivery direct to its destination to minimize damage to your equipment or goods. At FullTruckload.com, we pride ourselves on staying at the forefront of digital shipping technology to better serve our modern internet shipping customers. Our cutting edge tracking technology allows you to track your shipment from start to finish. Our expert customer service team is available to you 24 hours a day, seven days a week, 365 days per year! Call your dedicated account representative any time with any questions, or to schedule a new expedited full truckload shipment.